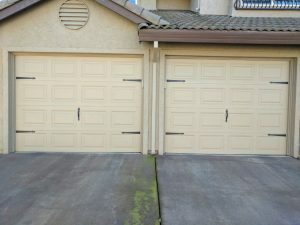 Replacing your garage doors is sometimes necessary, whether due to damage or just wanting a whole new look. 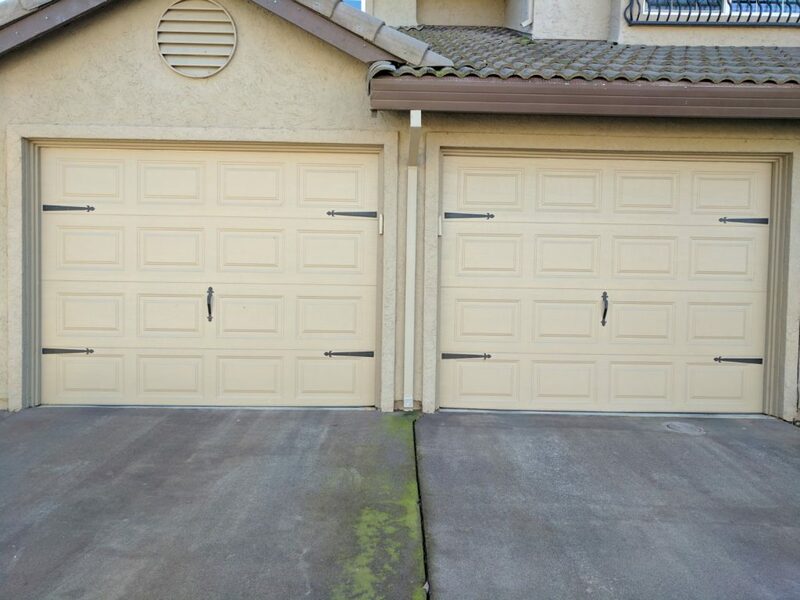 But sometimes there is a way to change the look and feel of your garage door, without actually replacing the entire thing and incurring the expensive of replacement. Below we will take a look at one such change, which not only looks great, but is affordable too! An affordable way to get a new look for your garage door is to replace a panel and paint your doors. Changing paint and other details can change the look of your home. And without the cost of a big garage door renovation. In addition to painting your doors a new color, replacing a panel with a panel that includes window decorations or other decoration features can really enhance the look you are going for. If your existing garage door is in great condition but you want some more decoration, it is much easier and cheaper to replace the panel with a decorative feature you want, then to choose and pay for an entirely new door. Below you can see a recent project we did where we painted the doors and replaced a panel to change up the look. This door was in excellent condition to replacing the whole thing would have been a waste. Here are the doors before any work was done. You can see that the condition is great, and they look stylish! The homeowners were looking for a bit more drama and design. Here are the doors halfway through the transformation. The upper panels of both doors were removed. Then we installed new panels that feature decorative windows that the homeowners really wanted. After the new panels were installed, all we had to do was paint! As you can see in this after picture, the doors look amazing! The newly installed upper panels were painted to match the existing doors and voila! 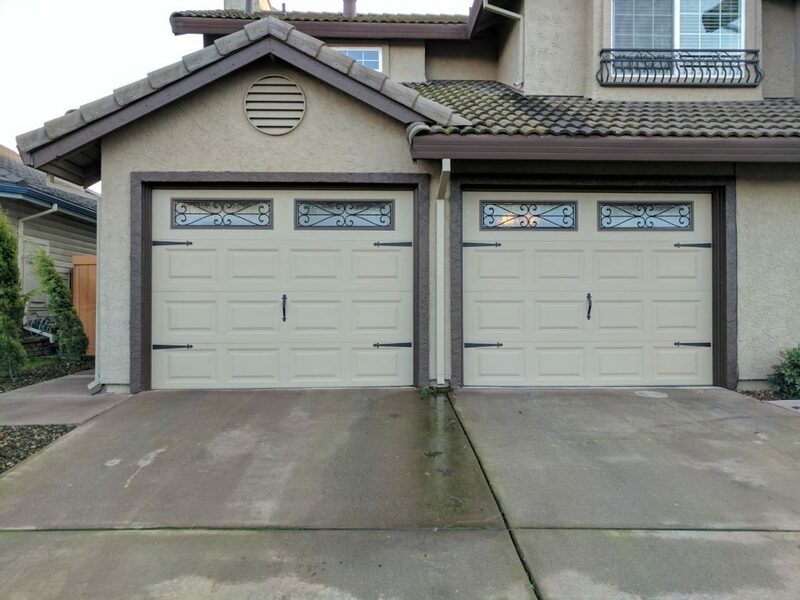 These doors look totally different, and for a great price! 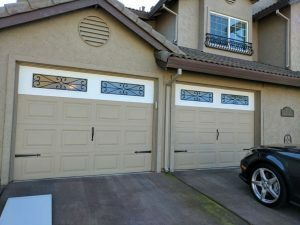 This entry was posted in Blog and tagged garage door panel replacement, garage door update. Bookmark the permalink.